Provides excellent early, mid & late season grazing from a more varied sward. 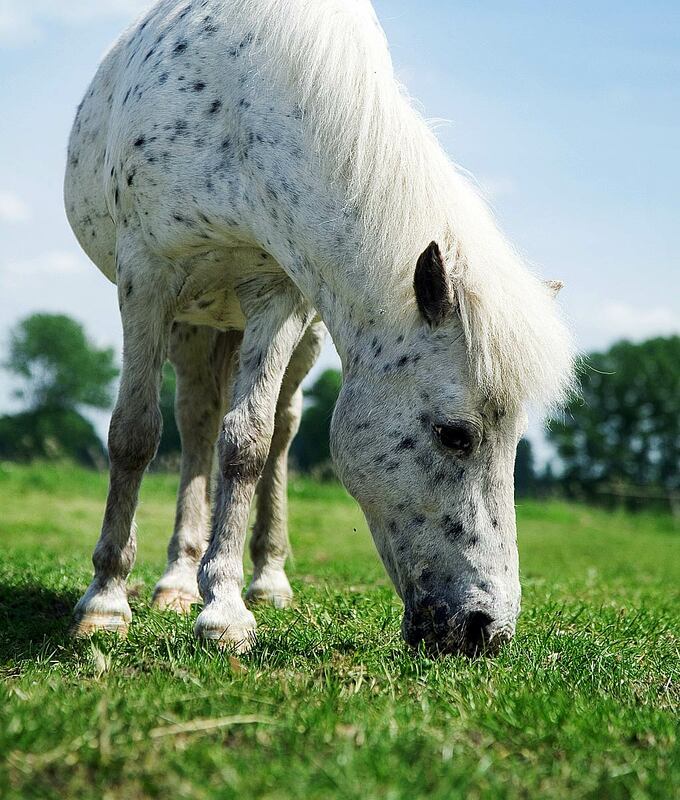 This blend is one of our most diverse and therefore popular horse & pony grazing products. This seeds mixture not only increases the diversity of forage intake but also provides the essential early, mid and late season grazing properties associated with a well constructed permanent horse pasture. Utilising a wider range of grass species is not only proven to be beneficial to the grazing animal but also helps minimise the affects of adverse weather conditions on an established grass sward. The inclusion of ryegrass increases the response to fertiliser applications should higher grass yields for hard grazing, hay or haylage production be the priority. We supply a very similar quality equine pasture product but without the inclusion of ryegrass for the long term grazing of Alpacas and Llamas or for any Horse and/or Pony on restrictive intake. For full details please see Non Ryegrass Equine Pasture.